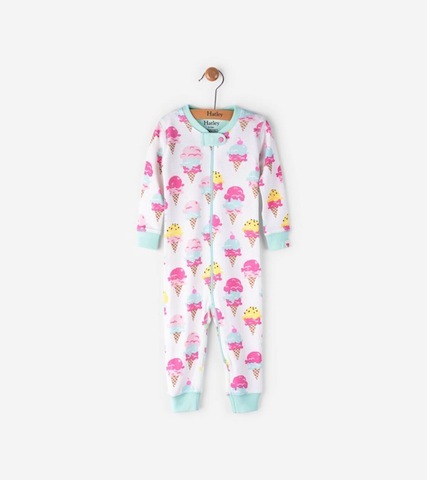 Precious slumber awaits your little one in this footless coverall featuring a colourful all-over print. Made with eco-friendly organic cotton, the full length zipper will be your new best friend come bedtime. Features: Eco-friendly 100% organic cotton Made to be snug fitting Full length zipper closure Snap tab at neckline Contrast neckband and cuffs Machine washable GOTS certified 100% organic cotton.